Seemingly stable riding conditions yesterday does not mean that the snowpack is strong. Todays weather variables of new snow & rain may prompt lingering instabilities to make a resurgence. Previous Wind Slabs could become over saturated with rain creating a Wet Slab issue this afternoon. Looming Deep Slab avalanche potential is still in question, with climax failures sometimes happening with many tracks already upon a slope. The MLK holiday tommorrow could bring fresh snow & an impending avalanche hazard. Virginia Lakes Road has CLOSED. During the Gale Force winds of our most recent storm, trees suffered the loss of a lot of bark. These destructive winds created very large deposits of snow near & below treeline on aspects facing N-E. With the added new snow & rain today these over loaded slabs could lose strength with the introduction of a traveler. In many areas wind deposits have a soft or wet snow component underneath surface crusts. Predicted rains today & the unforecasted rains above Sonora Pass on Friday has the slopes retaining some water weight. Barely freezing or not in several Snotel locations has the snowpack in constant motion as a cohesive unit, especially near the surface. The most recent storm slab is still conforming to the slopes, rapid change could cause avalanches in thin or complex snowpack areas, such as Cornices. This problem should dissipate as temperatures drop & lock up moisture in the pack. On Friday we found buried surface hoar 115cm deep within the snowpack on a NE protected 24 degree slope. It took a hard force on a CT to gain collapse, but false test results can occur with this instability. The uncertainty of this deeply buried Persistent Weak Layer keeps it in the forecast. No large human-caused avalanches were reported in the BWRA yesterday, even with active high-marking on precariously steep & loaded slopes. In the unlikely event you do step-down a fracture into this layer the consequences will be catastrophic. 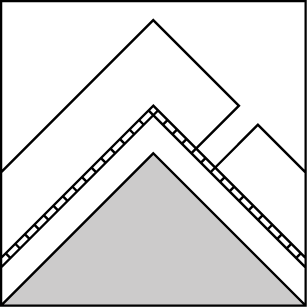 A breakable surface crust can be found almost everywhere in the BWRA. Although adding some stability, Fridays rain is also contributing water weight to an already fickle snowpack. Firm to unsupportable wind slabs exist on N-E leeward terrain features with soft & moist snow below breakable crusts. In wind & sun protected areas a thin (0.5cm) layer of deeply buried surface hoar can still be found. As deep & isolated as this Persistent Weak layer is, triggering a failure in the slab may be difficult. 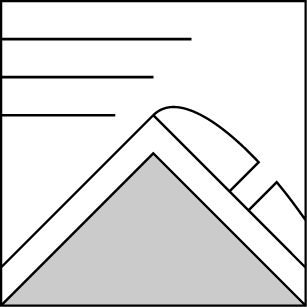 Although do not rule out the unpredictable nature of these instabilities, finding a thin spot that's connected to the larger slab could propagate fracture across the loaded slope. 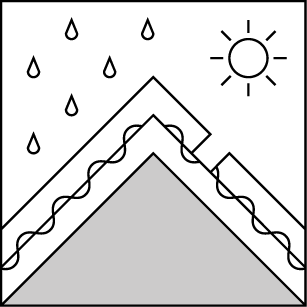 Wetting rains today could tip the scales of a Wet Slab avalanche in lower elevation steep slopes. -Friday we found evidence that buried surface hoar still exists in isolated areas near treeline. Spitting rain has added a lovely crust to the surface snow. Prior winds have stripped bark from trees & cast snow up large tree trunks. 0600 temperature: 33 deg. F.
Max. temperature in the last 24 hours: 43 deg. F.
Friday's saturated atmosphere & yesterday mornings cold temperatures has the BWRA covered in a breakable Melt-Freeze Crust. A fairly warm start to the morning with several Snotel sites reading above freezing. Today we can expect a rain & snow mix below 8000' as a fast blast of moisture hits the Eastern Sierra. Forecast totals are calling for 8-16" in the mountains with an issued Winter Storm Warning until early Monday. This storm will be accompanied by Strong SW winds & a potential for Lightning. Temperatures: 34 to 42 deg. F. 14 to 19 deg. F. 22 to 28 deg. F.
Expected snowfall: 2 in. 6 to 10 in. 1 in. Temperatures: 26 to 32 deg. F. 8 to 13 deg. F. 13 to 19 deg. F.
Expected snowfall: 2 in. 8 to 12 in. 1 in.